The NBA All-Star Game draft is back for 2019! The 10 starters for this year's game in Charlotte were selected through a vote combination of 50 percent fans, 25 percent players and 25 percent basketball media. 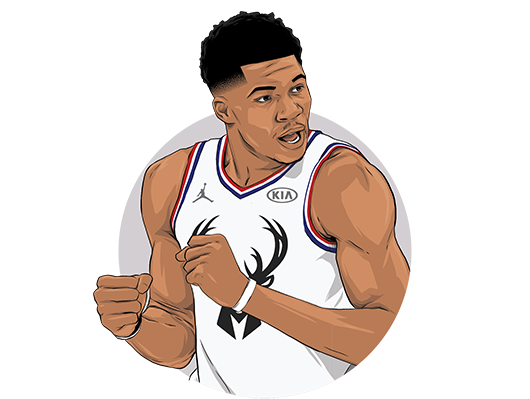 The two starters who received the most fan votes -- the Lakers' LeBron James and Bucks' Giannis Antetokounmpo -- were named captains. The league's head coaches then selected the 14 reserves, while commissioner Adam Silver included Dwyane Wade and Dirk Nowitzki as special roster additions (you can draft either or both in this game!). It's up to the captains to select their teams, with no regard for conference affiliations. So step into the shoes of either LeBron or Giannis and draft against the other guy -- controlled by a computer that "thinks" like a traditional All-Star captain. 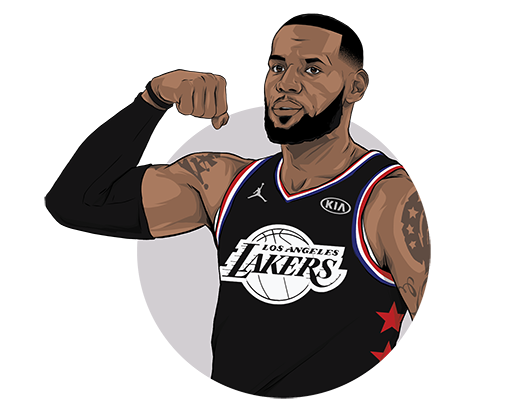 Then we'll use FiveThirtyEight's NBA player ratings -- along with each player's elite skills and bonuses based on your coaching acumen -- to simulate the result of the All-Star Game and see which captain is the king of the Queen City. And just like in real basketball, no two games will play out exactly the same -- so keep playing until you draft your way to All-Star glory. There will be no Team LeBron dynasty in the All-Star Game, as your squad didn't quite measure up. The good news? You're still LeBron James. Even when he's in the West, LeBron still manages to defeat the best player in the East. Take solace in your loss, though, knowing you won't see LeBron in the East playoffs this year. So far, so good. Want to stick with or change up your style and see if you can extend that lead? That could've gone better. Want to change up your style or stick with and hope for the best? Give a boost to long-distance bombers by emphasizing the shooting talent on your team. Key in on your team's pure scoring talent by unleashing players who GET BUCKETS. Take advantage of unselfish playmakers, who will boost your offense by dishing to the open man. Get an extra bonus on offense and defense when you hit the glass with rugged rebounders. If you have tough defenders, go hard on D -- or, as hard as can be expected in an All-Star Game. Your turn to pick a captain. Neil Paine of FiveThirtyEight has scored all 26 players in five categories. Pay close attention to those blue bars -- they will determine your roster's strengths, which will combine with your coaching style to maximize the team's potential. 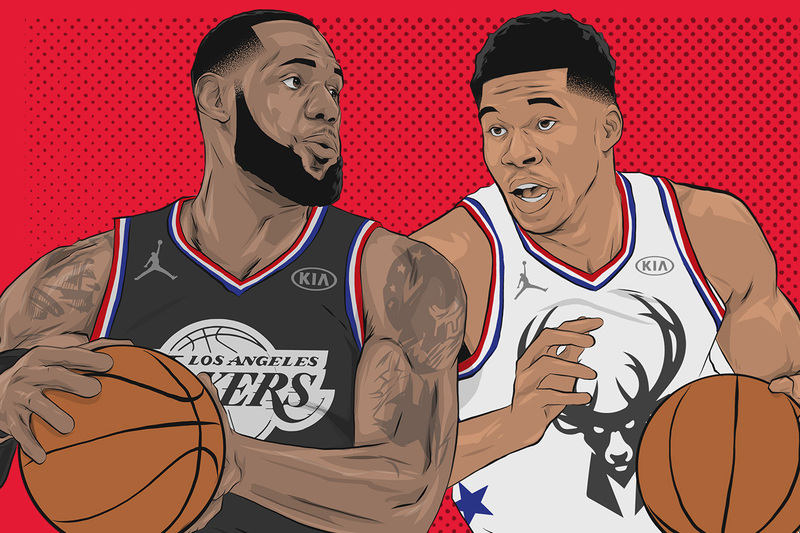 Step into the shoes of one of this year's NBA All-Star captains and pick your squad like you're back on the playground. Can you draft a winning team?